Happy Sunday, I can't believe how lucky we have been with weather lately! Record breaking warm temperatures for December in Montreal! I am going to take it while we have it! Over the American Thanksgiving weekend Simon Says Stamp held some wonderful sales and I went postal on the 30% day for the Simon Says Stamp brand! I have been playing with my new products for a couple of days here are a few cards that I have put together for family and friends. 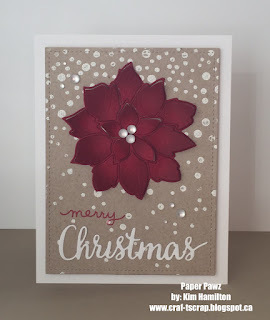 I used the SSS Poinsettia die and Falling Snow 6 x 6 background stamp on this one. I die cut the poinsettia out of Schoolhouse Red cardstock and used a bit of Fired Brick distress ink on the petals. White embossed the snow and used the Christmas from the Happy Winter set. I love this Soft Snowfall die! 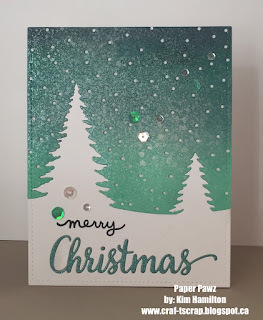 I used Cracked Pistachio, Evergreen Bough and Lucky Clover Distress inks with a mist of Perfect Pearls (I love this mix for the holidays), I die cut another white piece and inlayed them together used the same Christmas die from Happy Winter and some sequins! This one is for my favourite aunt who is now placed as she is battling a form of Alzheimers. She loves red and I am hoping that it may brighten her room over the holidays. 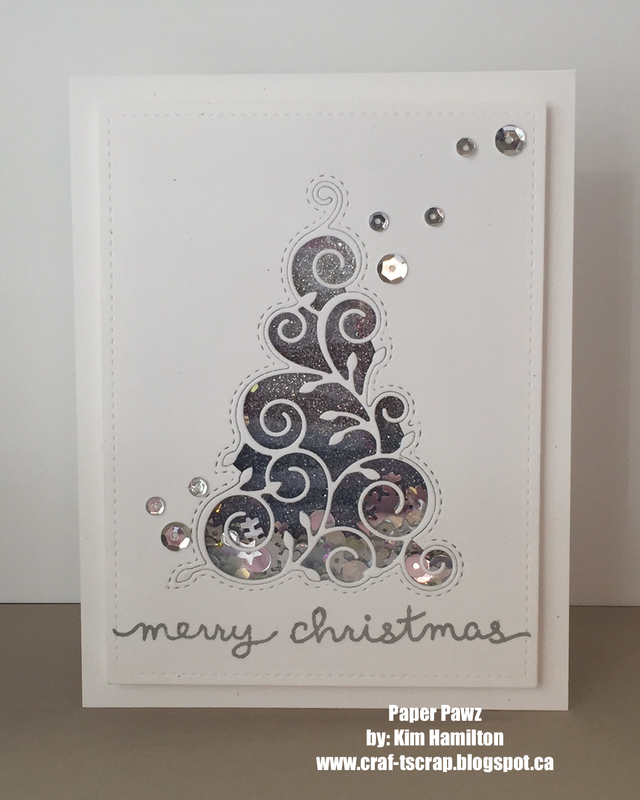 This is the SSS Christmas Tree die, I love that outside stitching! I thought this die would make a perfect shaker card so I made two with it. 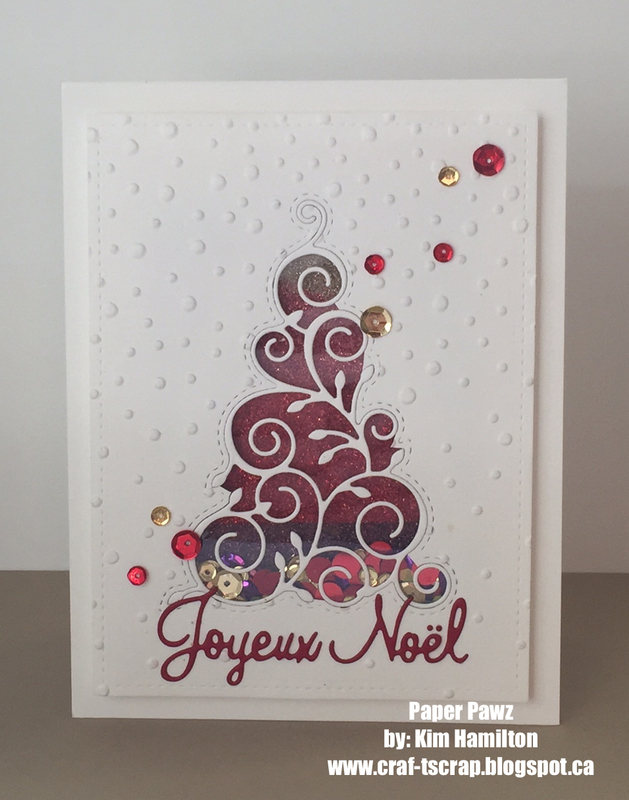 I embossed the background on the red one and I think I prefer it to the plain below.